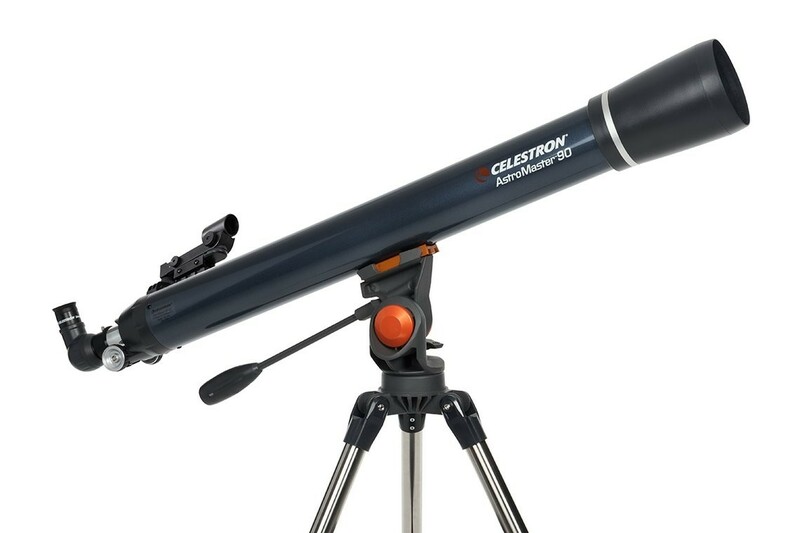 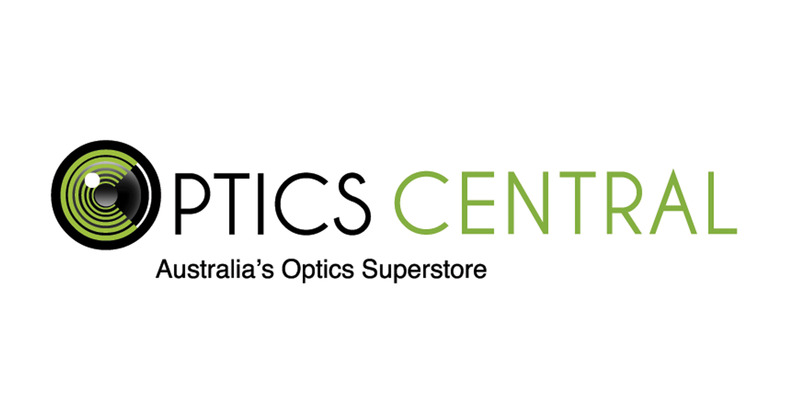 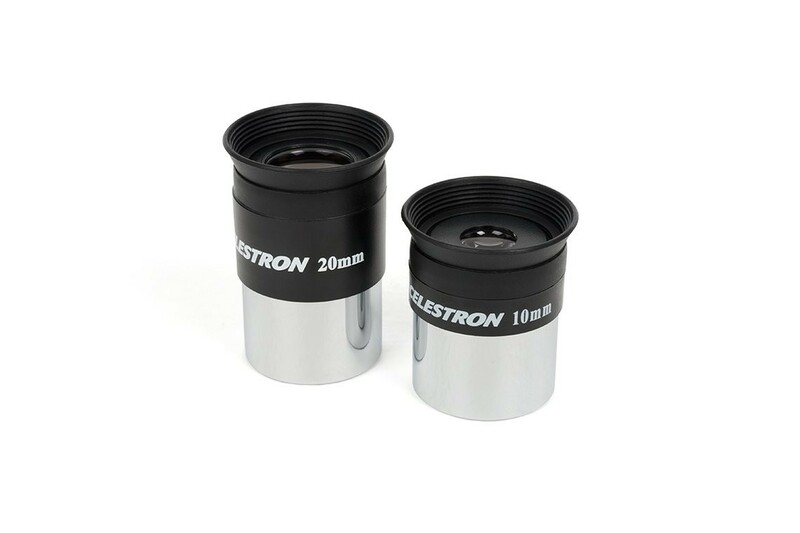 Introducing another quality scope by Celestron. 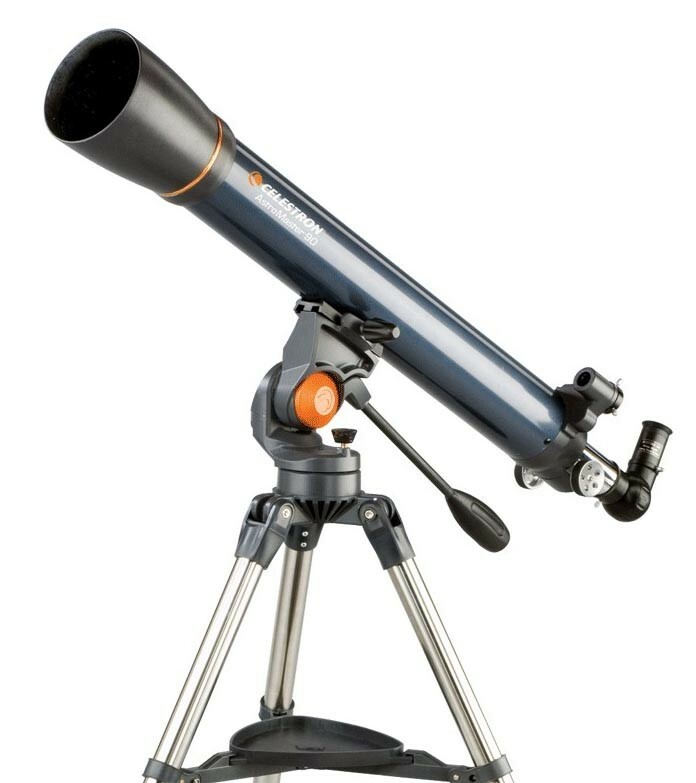 The Celestron Astromaster 90AZ Refractor Telescope delivers bright, clear and crsips images of a wide array of objects in the night sky. 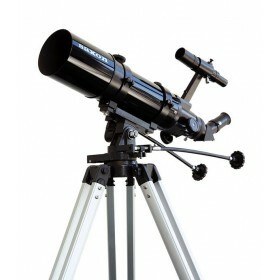 So easy to use, it makes astronomy accessible and interesting for everyone. 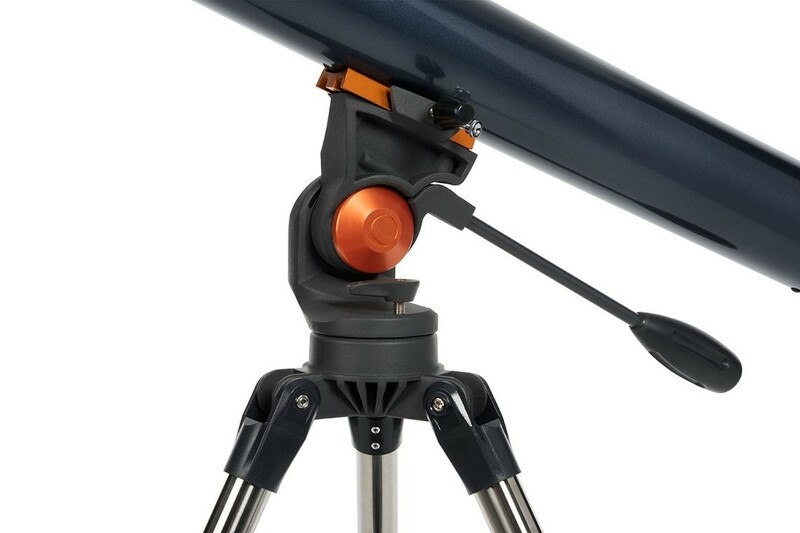 The 90mm sits on a beautiful and stable steel tripod, making it a wonderful piece for the home. 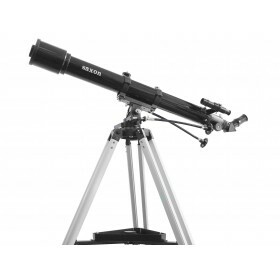 An ideal paring of simple operation and versatility, the Celestron Astromaster 90AZ Refractor Telescope is easy to set up and use without tools, requires little or no maintenance, excellent for both celestial and terrestrial viewing and delivers color corrected, high contrast/good definition, brilliant images of thousands of celestial objects in the night sky. 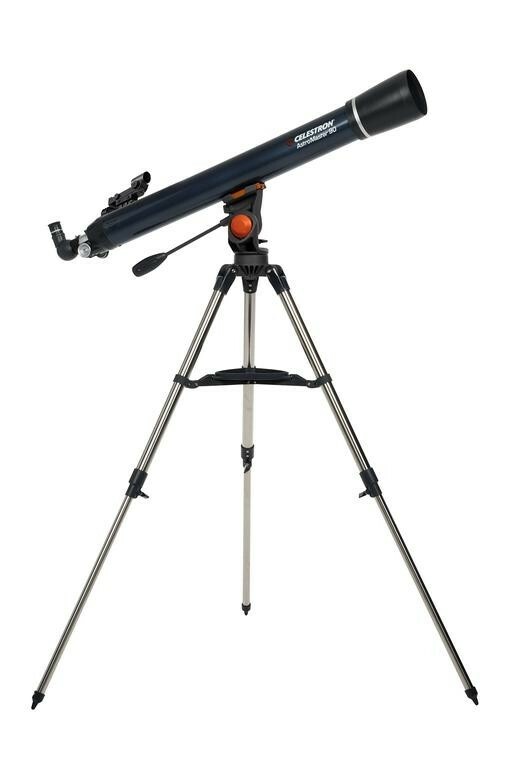 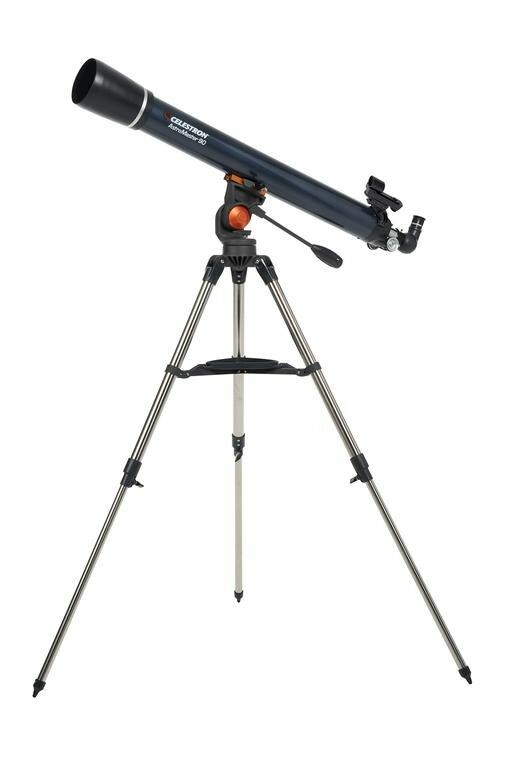 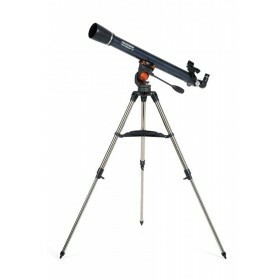 Loaded with an array of user-friendly features, The AstroMaster series of telescopes come fully equipped with a deluxe tray for convenient storage of accessories, a quick release dovetail attachment for easy tripod mounting, and a lightweight, pre-assembled steel tripod with manual motion controls that allow for quick and easy pointing and tracking of celestial objects. 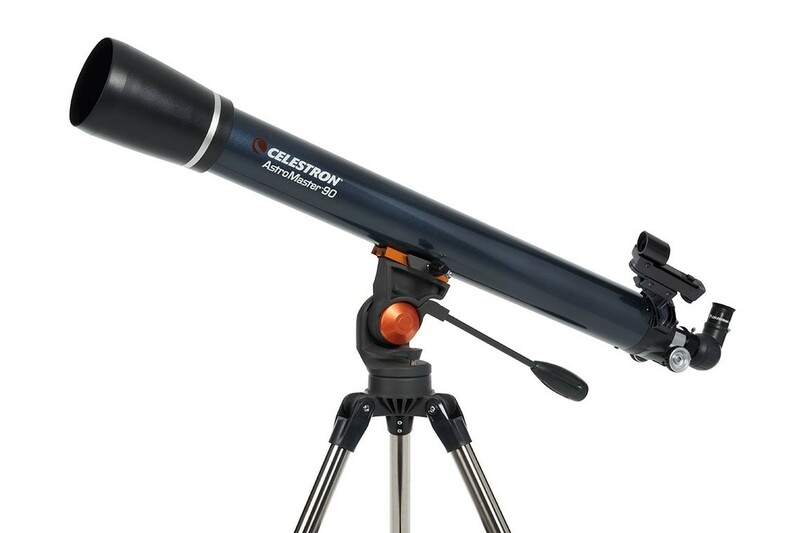 Celestron’s AstroMaster series telescopes make it easy for stargazers of all experience levels to explore and learn about deep space without ever leaving their backyard.